"Find beauty not only in the thing itself but in the pattern of the shadows." Where did the Map of the Mango Planet come from? The conceptual framework for this series is based upon the dreamings of an urbanized human. Those shaped into an archetypal creation myth. The sleeping dream crosses into the waking dream of this dance art reality. It became forms of many mango paintings and a few mango sculptures. And then, a single dance appeared on April Fool’s Day 2006 on the edge of Land's End in San Francisco. The dance was of a Madame Jellyfish, Part I. 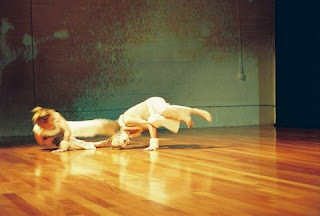 In June 2008, an excerpt of The North Pole was performed at the Lab in San Francisco. 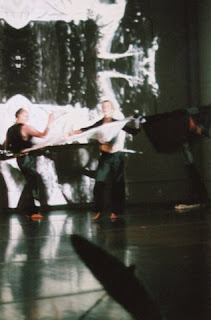 On June 28, 2008 Map of the Mango Planet, Part III: The Full Moon Tango premiered at CounterPULSE in San Francisco. 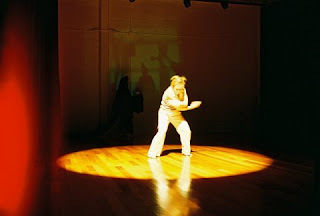 On November 22, 2008, Mango Planet, Part II: The North Pole premiered at CounterPULSE in San Francisco. On the mango planet, everything is backwards, inside out. But how can it be perceived if this is the "normal view"? 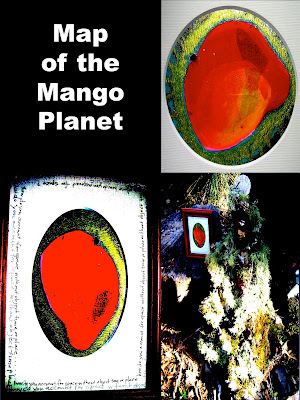 The mango planet is viewed in relation to planet earth. On earth, the norm is rated by markers of material ownership which is achieved by polar opposites, blending and reacting upon each other. On the mango planet an invisible dance becomes more visibly real than the quantification of acquiring markers. 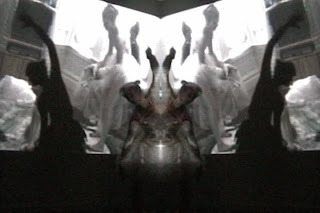 This dance is a long streaming outcome as if oscillating through a two dimensional mirror while it occurs in twelve dimensions. FullMOON Tango is about shadow and light and movement, about three attractions. When two opposites attract and repel along a continuum, a third element arises. It is alchemy. On the mango planet its location is in the region of "when". There is only one direction on the planet that is The North Pole. Everything else is a relative by other positioning. The North Pole connects systems, countries, states, bodies, etc. Nothing exists independent of changes made from or within the other positions. The North Pole's is located in the direction of "where". Where everything on the mango planet is viewed upside down, inside out, backwards, the North Pole is not the "(kn)own north" but the "un(kn)own north". Everything veers toward it anyway--as it is the magnetic north. The North Pole is uninhabited by humans. Only magical creatures exist in phases of solidity and consciousness, in dreaming and dancing. A furnace of fire that is unseen must dwell within them to survive such extremes. One magnetic north creature is similar to the earth's polar bear and like a human. It is a magical creature transformed into a vehicle for survival. Without this transformation, neither the polar bear nor the human would exist in this Magnetic North Pole. And how does this occur? The transformation happens when each one speaks with the same tongue; when each being can carry the same sound into the cave of it's midnight sky; when the moon is new. The sound prints remain there on the star-cave wall. Even today the symbols can be read by any magical being. 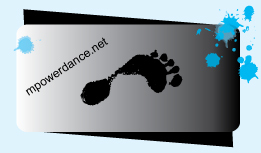 The sound prints are the blue prints of the dance for survival. Madame Jellyfish is the element that gives rise to all creation, the birth of the Mango Planet, the birth of beauty, and ten thousand things. The birth, the death and the sea is the nectar that sustains her living tableau. Her heart is a stone knife surrounded by golden flesh. It cuts through insanity. Her location questions "who".